Dr.-Ing. habil. 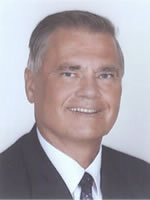 Rainer Sandau has over 30 years of experience in airborne and spaceborne remote sensing activities. He was involved in the instrumentation of space missions to Venus, Mars, and Earth, and also in numerous concepts for instruments and small satellites for or with different countries and space agencies. He is a member of various national and international associations, for instance Technical Director of Satellites and Space Applications in the International Academy of Astronautics (IAA) and chairman of the International Policy Advisory Committee (IPAC) of ISPRS. He has authored or co-authored over 200 publications, holds over 30 patents, and is editor or co-editor of 19 books and conference proceedings.